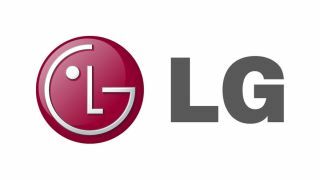 LG Electronics USA Business Solutions has unveiled its OLED TVs designed specifically for hotel rooms. According to the company, the new 55 and 65-inch class TVs combine the picture quality of OLED — "perfect blacks, intense colors and infinite contrast" —with LG’s hotel TV technologies, for the first time. Unveiled at the 2016 Hospitality Industry Technology Exposition & Conference (HITEC), the LG OLED hotel TVs further expand LG’s family of OLED commercial displays. LG OLED displays for hotel rooms and public spaces cater to premium hoteliers seeking inventive, immersive high-end solutions that offer an enhanced guest experience, according to Michael Kosla, vice president, hospitality, LG Electronics USA Business Solutions. OLED is a new display category that can turn each pixel on or completely off. The company states that LG OLED TVs produce "perfect blacks and flawlessly render crisp, vibrant colors and rich shadow details, even when bright objects are directly next to deep, dark areas (unlike LCD TVs, which have a halo effect from light bleeding)." The 55- and 65-inch class (54.6 and 64.5 inches measured diagonally, respectively) LG OLED hotel TVs combine a pleasing aesthetic and picture quality only possible with OLED technology, for “an unparalleled, dazzling guest-room entertainment experience,” said Kosla. ILG’s OLED hotel TVs also come equipped with 4K upscaling that allows non-4K content to take advantage of the screens’ eight million-plus pixels. LG OLED hotel TVs feature the Pro:Idiom digital rights management system, LG’s Pro:Centric interactive TV platform, and embedded b-LAN capability. LGOLED hotel TVs also offer guests the latest webOS 3.0 Smart TV Platform, to make finding and switching between LG’s expanded content options—including broadcast TV, streaming services and external devices—simple and fast. Complementing the in-room guest experience made possible by LG OLED hotel TVs are other new OLED commercial displays also launching in the United States this year. LG’s OLED Dual-view Flat and Curved Tiling displays are intended for digital signage installations in hotel lobbies, VIP clubs, fitness centers, restaurants, business centers, and other high-profile public areas.